I try not to get political on this blog. I generally leave all that messy stuff to George. He’s good at it. I really couldn’t care less about it sometimes, although Election Day is one of my favorite days of the year. However, this time I decided I needed to make a statement. For the purpose of this writing, you could consider it an open letter to Governor Andrew Cuomo. Most people who know me know that not only do I love history, I am a big supporter of promoting the Erie Canal in New York. I’ve read everything I can find on the canal and worked at the Erie Canal Discovery Center for eight years. The Erie Canal is my thing. I even took my kids to Rome for a vacation so we could see where the first shovel was turned for the famed waterway on July 4, 1817. I was first made aware of a plan by Governor Cuomo through a post on Facebook by the Canal Society of New York State. The governor wants to scrap the canal tug boats that once plied the waters of this state to keep commerce moving. He would like scrap this “canal navy” and add it to the remains of the old Tappan Zee Bridge, sunken in order to rebuild reefs off Long Island. While that is a noble effort to bring back the reefs, it seems short sighted on the part of the governor. An additional part of the plan is to partially dismantle the tug, Urger, which was built in 1901, and began its work on the Erie Canal in 1922. It remained in use until the 1980s. 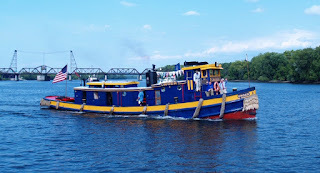 With it’s tug days behind it, the boat, since 1991, is a floating classroom, based in Waterford. This classroom of the canal visits communities along the shores of the Erie Canal. It is through the Urger that children across the state learn about the history of the Erie Canal and its role in making New York the Empire State. 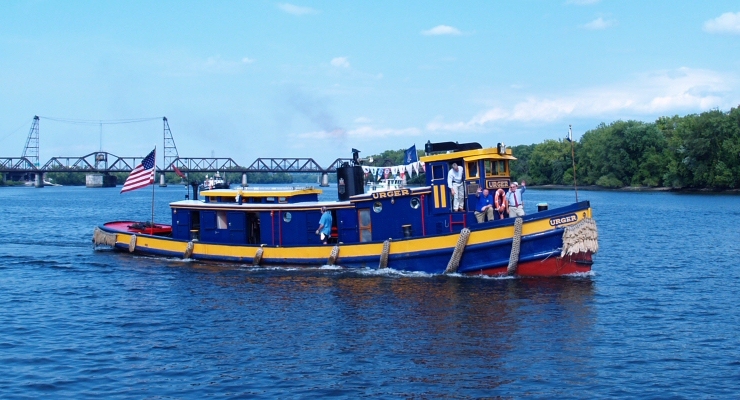 It is one of the oldest working tugs in the country. Under the governor’s plan, this will be no more. The vessel will be permanently fixed on shore, lessening the impact of its educational mission. Governor Cuomo’s plan to use canal vessels and to, in essence, destroy the Urger are short-sighted. I can tell you from experience in the tourism industry that canal heritage tourism is growing. And it’s growing a lot. One time at the Erie Canal Discovery Center, a group of Ukrainian tourists visited the museum and sang “Low Bridge” to me. In Ukrainian. 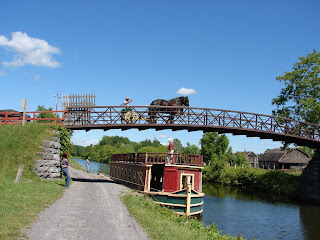 That was a special day and it shows that people come from around the world to see the Erie Canal. The fact that we have vessels that are still working along the canal from the early part of the twentieth century is amazing. In so many other places, these ships would have been destroyed long ago. Instead, we in New York once embraced the very thing that made this state so great. Think about this: Governor Cuomo gets his way and these ships are destroyed. In twenty years, as tourism continues to grow around the canal, a new administration realizes that we need to have ships indicative of all eras of the canal plying the waters. So, now, after we had an actual flotilla, we’re going to spend millions of dollars to build replicas. We have the real things right now. There must be another answer. Frankly, this administration is not very history friendly. In some cases they’re downright dismissive. Let’s take the site in Rome where the canal actually began. 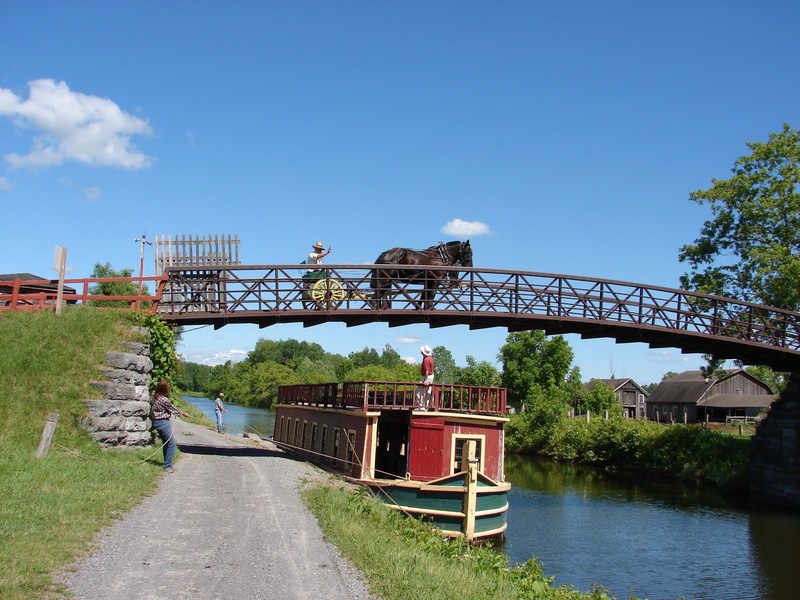 For years, the Erie Canal Village was a place to take the family, learn about the birth of the Erie Canal, and see where it all began when the first shovel broke the ground. Wendy and I took the family there in 2013. I was excited to think about it as we drove to Rome. Once we got there, I was profoundly disappointed. By 2013, the City of Rome had sold the grounds off to a private corporation. The people who own it now either don’t have the money to upkeep it, or couldn’t care less. At this point, I don’t know exactly where it stands, it doesn’t take a math genius to figure out how this equation works out. The buildings, when we there, were in grave disrepair. The boat that floated in the remains of the Enlarged Canal was partially beached and falling apart. The original Ditch Canal from 1825 was overgrown and barely obvious. The spot where they began the digging was an unsigned marshy area near a cheese factory. Once upon a time, it was a great place. In 2013, it was a mess. Shortly after our visit, the place closed completely. Imagine selling off the Gettysburg battlefield to private individuals who were land speculators. Imagine selling off Independence Hall in Philadelphia or the Mall in Washington. There would be a cacophony of protests. These places have a special meaning in our national history. The spot in Rome, NY where the Erie Canal began holds the same special meaning in the history of New York State. The Erie Canal is to New York State what those other historic sites are to the country. Instead, the state, and ultimately the governor’s mansion, ignores this. Governor Cuomo is a New York City guy. He should be aware more than anyone that New York City doesn’t become the greatest city on earth without the Erie Canal. This state cannot keep throwing away its history over the whims of politicians who don’t actually interact with average New Yorkers. We need to remember what made us so great. Heritage tourism is one of the fastest growing facets of the state economy. To destroy part of that heritage seems foolhardy, and I’ll say it again, short-sighted. Yes, recreating the reefs off Long Island is a noble cause. However, it should never be at the expense of tourism that the state relies on more and more. There have to be other answers to the reef project. I wish I could magically have one of those answers. I can tell you, though, that destroying these canal boats is not the right one. These are not the governor’s play things to do with what he wishes. Ultimately, they are ours, the people of the State of New York. It’s time we tell Governor Cuomo “NO”. We will not stand idly by while he attempts to destroy our history. Craig Bacon loves history. His kids do, too. Together, his family are Historical Sign Tourists.